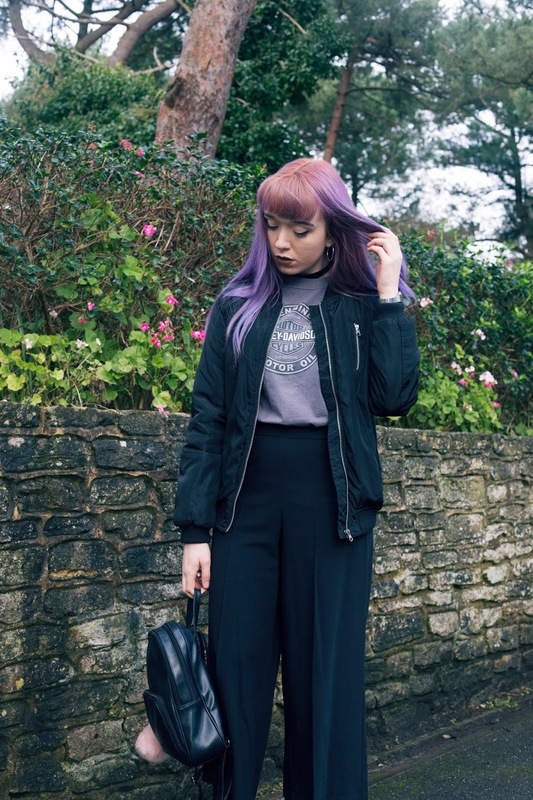 Culottes are one of those 'trouser trends' that I didn't immediately gravitate towards, as on the hanger they don't seem like the most flattering pair of trousers. 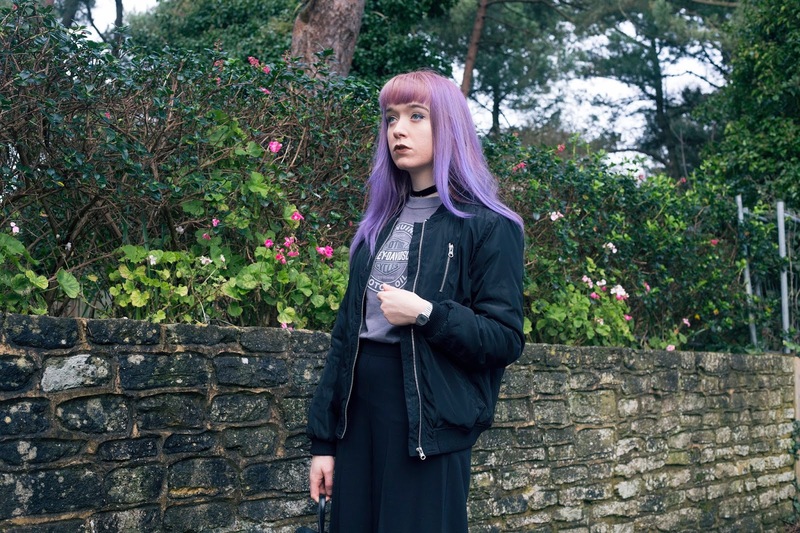 However after seeing more and more of them around, plus some of my favourite bloggers rocking their own. 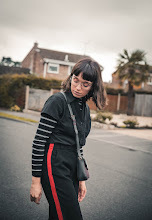 I thought it was about time that I tried this 'trend' out for myself and finally took the plunge into the world of culottes. What can I say? They probably have to be the most comfiest trousers I have ever worn-on par with pyjama's. 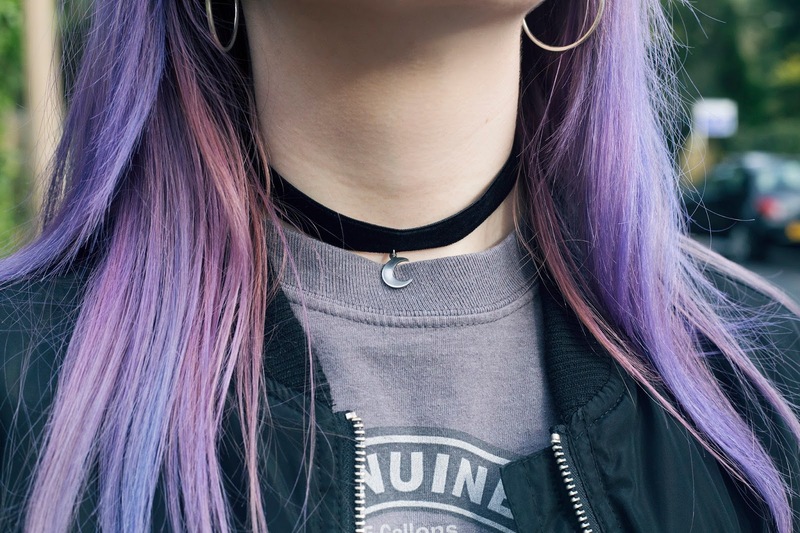 In fact I've been wearing them a hell of a lot recently as they are so easy to style and practical for work and everyday errands. 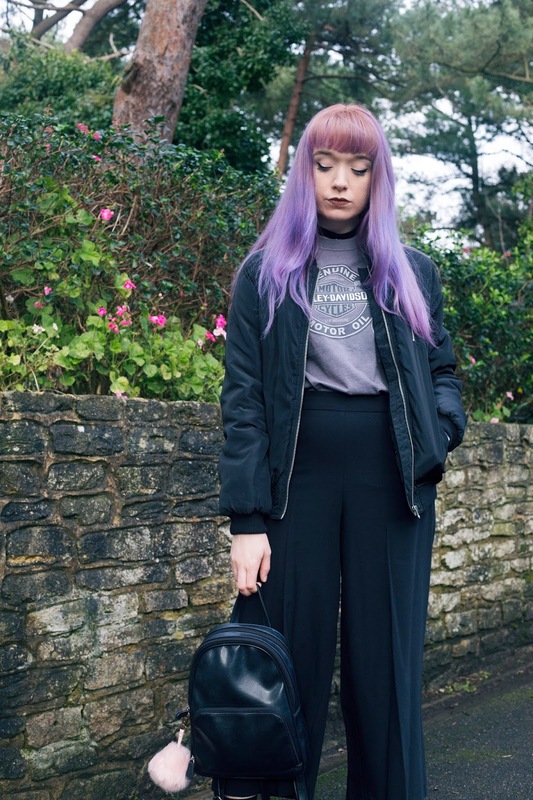 My current favourite way of styling them is with a band/vintage inspired tee, bomber jacket and a pair of Dr Martens. As due to the shorter hem line they work well with a long pair of boots. I've become so attached to this pair that I am contemplating whether to pick up another in a slightly different style. It just shows...don't judge a trend until you tried it.